For the next semester I will do things differently in my advanced embedded systems programming course (INTRO) at the University of Lucerne: Instead of using the Freescale provided CodeWarrior, we will use a DIY tool chain for ARM with Eclipse Kepler. That way we we can offer students an open and convenient tool chain for their lab work, course assignments and own projects both at work and at home. So this post is about spending about 30 minutes to build your own tool chain which then can passed to students and coworkers so they have a complete toolchain installed in a few minutes. The process is the following: instead having every student to install and configure the IDE, I prepare an archive. That way the students do not need to go through extended installation steps, and can be up and running in minutes. 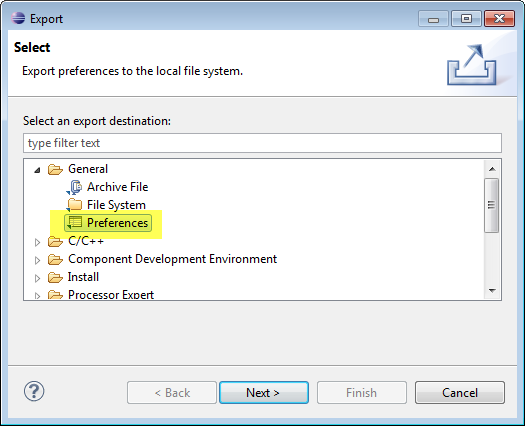 Setup workspace environment and variables and export it so it can be re-distributed and re-used. The result is a layout/zip file with all the needed files for the students. 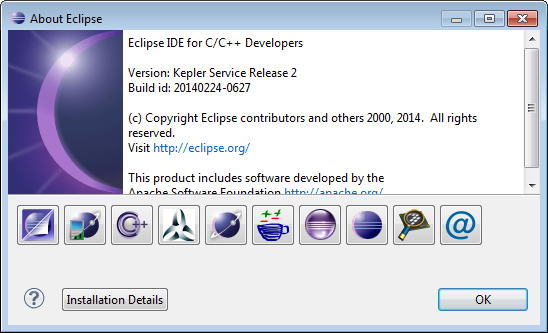 Unzip the archive with the Eclipse IDE and tools set up. Import the extra Processor Expert components (step only needed once). 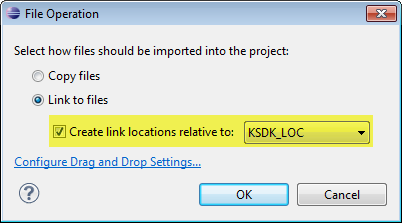 For a new workspace, import the XML settings. The steps below are for Windows 7 64bit, but similar steps apply to Linux and Mac too. 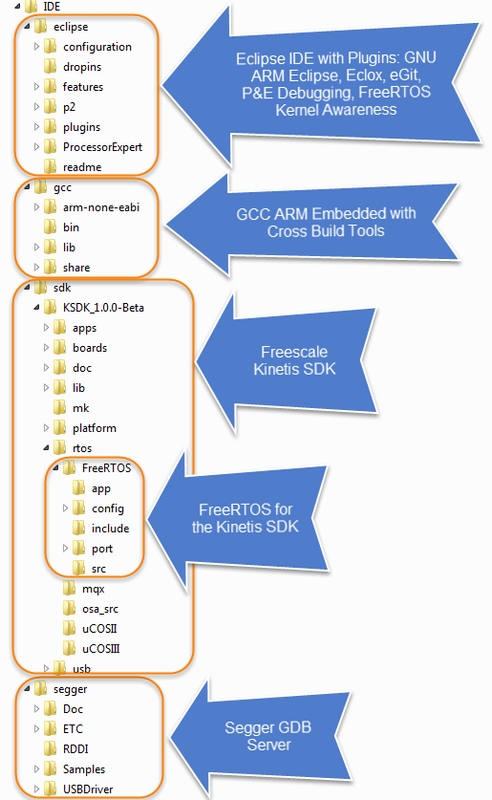 To the normal Eclipse and ARM tools, I’m adding the Freescale Kinetis SDK and Freescale Processor Expert to my IDE. I’m using C:\Tools\IDE as my installation folder. 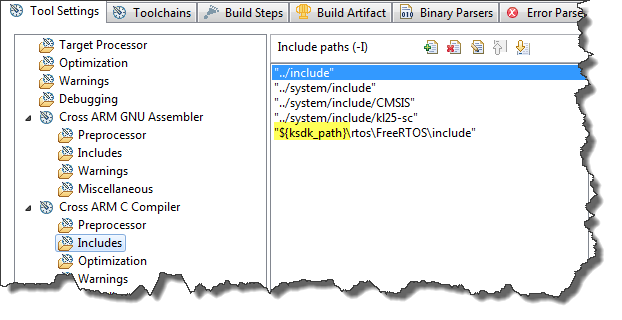 Steps are explained in my DIY series (see http://mcuoneclipse.com/2014/02/15/diy-free-toolchain-for-kinetis-part-9-express-setup-in-8-steps/), but repeated here so everything is in one place. MCUonEclipse Processor Expert Components: Go to https://github.com/ErichStyger/mcuoneclipse/tree/master/PEupd and download both the Part1_*.PEupd and Part2_*.PEupd files. Place the two files into C:\Tools\IDE.We will install them later from Eclipse. GNU ARM Eclipse: Use http://gnuarmeclipse.sourceforge.net/updates as update site and install the GNU ARM Eclipse plugins. GNU ARM PEMicro: Use http://www.pemicro.com/eclipse/updates as update site and install the P&E plugins. 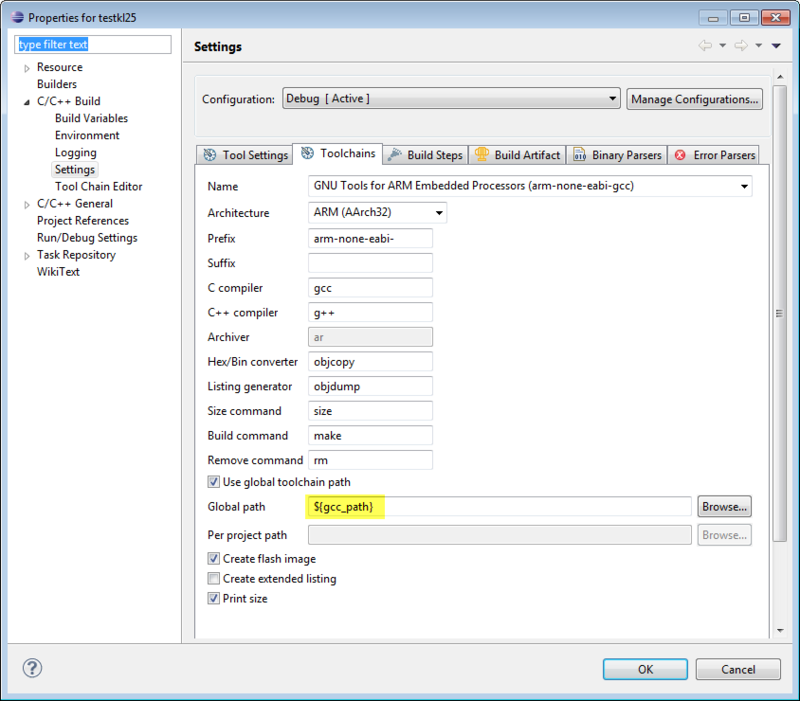 Processor Expert: Go to http://www.freescale.com/webapp/sps/site/prod_summary.jsp?code=PE_DRIVER_SUITE&tid=PEH and download the ‘Microcontrollers Driver Suite plug-in for existing Eclipse’ (DriverSuite_10.4_Install_into_Eclipse_3.7_4.2.zip). 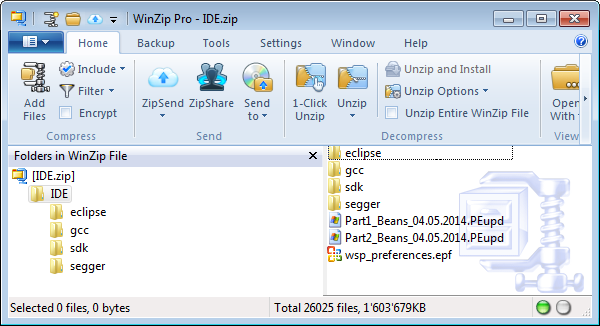 Unzip the archive.Use com.freescale.eclipse3.7-4.2.updater.custom.updatesite.zip as local update site and install it. 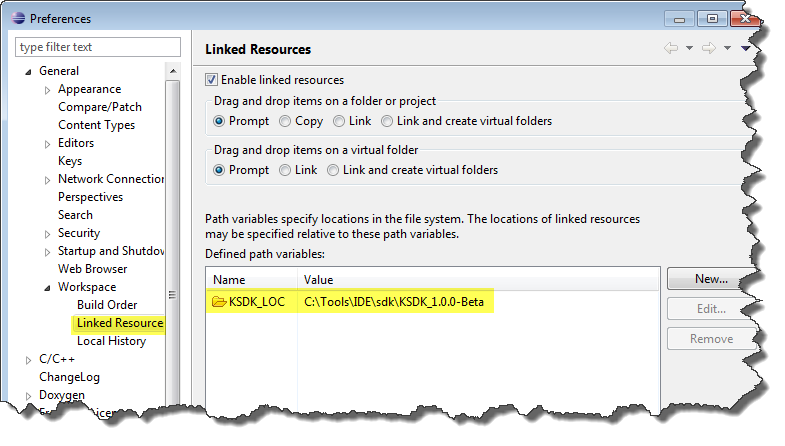 Same for PExDriverSuite_v10.4_eclipse.zip: use as local update site and install it. 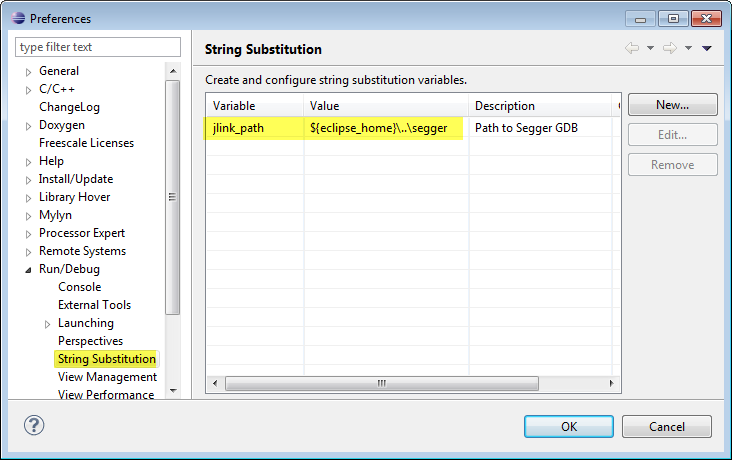 eGit (optional): Use http://download.eclipse.org/egit/updates as update site and install it. Backeteer: (see “Bracketeer: the ultimate bracket plugin“). Use http://chookapp.github.com/ChookappUpdateSite/ as update site and install it including CDT support. While I have a functional IDE, there are a few things which need to be setup for every new workspace. 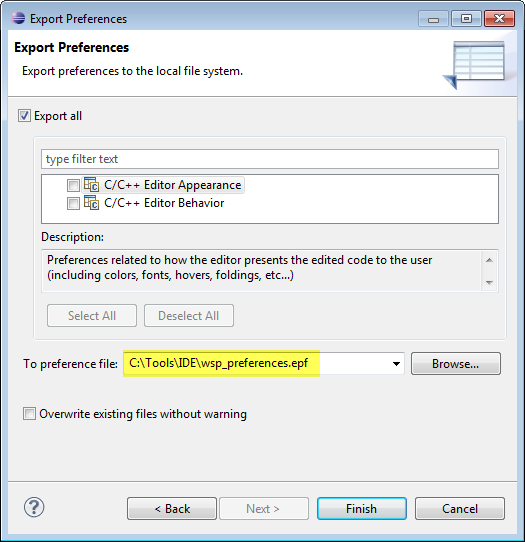 In Eclipse I can use the Export function to export the settings as XML, see “Copy my workspace settings“. This and other options just need to be defined once: I can expert them as XML file and then students can import that into a new workspace. It is a little work to have my classroom IDE put together, but compared to silicon vendor provided Eclipse versions, I get *exactly* what I need, even with more features and flexibility. Moreover, I’m not limited to the ARM microcontroller of a single vendor: I have a cross-platform and cross-vendor IDE all together. And with providing the zip file with a few extra files for the students is much easier and faster than to go with the silicon vendor IDEs anyway. Putting together the above DIY Eclipse took about one hour for me (one time, including downloading and installing all files). With this, I have an IDE with many cool plugins pre-installed for development of ARM microcontroller projects. And students are able debug their first project just in a few minutes.